The Ishikawa Fishbone Pro tool pack from Adaptive BMS allows you to identify the root cause of process variation in a structured and controlled way. This tool is ideal for your Six Sigma, 8D and other improvement projects. Use it "as is" or customize as required. 1. 6M - Method, Management, Material, Manpower, Measurement, Machine. 2. 7P - Product, Price, Place, Promotion, People, Process, Physical evidence. 3. 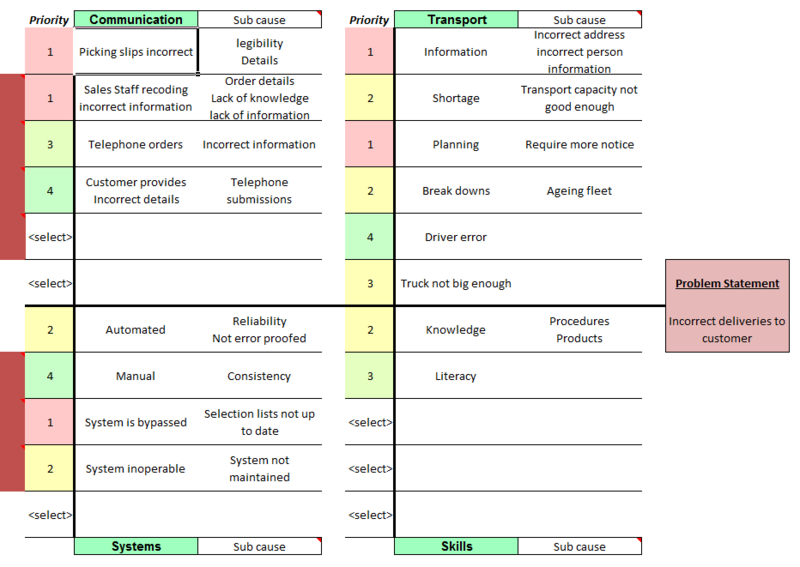 5S - Surroundings, Suppliers, Systems, Skills, Safety.